Scotts Head Public School on the mid North Coast of NSW is urgently seeking an Indonesian teacher for its bilingual program. Please see below for selection criteria and position information or contact the Principal, Gillian Stuart on 6563 8144 for more details. Capacity to incorporate information communication technology and innovative teaching ideas. Willingness to work as a bilingual team member and to liaise with classroom teachers to develop quality teaching programs across key learning areas within a K-6 setting. relationships and engage students, staff, parents and community. Kindergarten. The school has an enrolment of 100 students, 15 of whom are Aboriginal. The Bilingual teacher teaches classes across a number of key learning areas in Bahasa Indonesia. This is the fourth year the program has been running. This program delivers the regular curriculum for 45 minutes a day in Indonesian and creates links with our Asian Neighbours. This is the first step in expanding the minds of our students who will be able to engage in future global environments, be global citizens that can also act locally. This is a temporary, part time position for 4 days per week 0.8 FTE (maternity leave position) for Term 1, 2014 with the possibility of extension. See how the 2013-2014 AIYEP participants celebrated Australia Day in West Sumatra. RMIT University student Michelle Rimmer was interviewed recently by Radio Australia on her experiences living and working in Jakarta on her internship with Asia Calling. 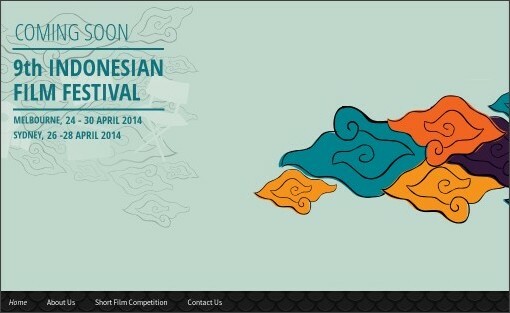 The 9th Indonesian Film Festival will be held from 26 to 28 April 2014 at EVENT CINEMAS in Sydney. An Educational Program is planned for Monday 28 April at the University of Technology. For more information go to the IFF website or follow IFF updates on Facebook or Twitter. Selamat Tahun Baru and welcome to the first post of 2014. I hope you have had a wonderful holiday break and are planning your last few days of rest this long weekend before the new school year swings into action on Tuesday. Next week we welcome 9 Teaching Assistants to NSW, including Anik from IALF Bali. Anik will be hosted by Caddies Creek Primary School and Glenwood High School for the 2014 school year. Keep posted here for details of workshops, VCs and Adobe Connect sessions that Anik will be offering to all teachers of Indonesian throughout the year. Please add your ideas/comments/suggestions for the kind of PL you would like to see offered in the 'Comments' section below. A dinner is being planned for Indonesian teachers to get together and welcome in the new year, catch up on news and farewell one of our retiring colleagues at Teras Bali restuarant in Sydney on Friday 28 February. Contact Heidi Lindgren at heidilindgren@yahoo.com for more details. There are a number of scholarhips and conferences on offer for Indonesian teachers again this year. The Endeavour Language Teacher Fellowship applications open in May. You can register your interest in the 2015 program here. If you are thinking about a trip to Indonesia, why not attend (or perhaps present) at the Australian Society for Indonesian Language Educators (ASILE) conference in Bali from 29-30 September? For more details click here. The Asia Education Foundation's national conference is being held in Sydney from 16-18 June. Expressions of interest are open here. The Centre for Teaching Asian Languages and Culture (CTLAC) at Deakin University coordinates a national Indonesian Language Teacher of the Year Award which last year was won by Jonathan Petersen from Coffs Harbour Christian College. And don't forget the competitons and scholarships available to your students too. The MLTA of NSW, Australia Indonesia Association (AIA) of NSW and the Indonesian Consulate's Kompetisi Siswa is open to all students of Indonesian from Kindergarten to Year 10. Topics will be published in March. The AIA NSW offers 2 scholarships to senior students of Indonesian. Click here for details. The Centre for Teaching Asian Languages and Culture (CTLAC) at Deakin University also coordinates a national Indonesian Language Student of the Year Award which last year was won by NSW student Jay Edwards from Vincentia High School. As always - I love hearing about what is happening in your schools. Please contact me if you have a story/idea/resource to share with your colleagues and I can post it on this blog.